Two more draft agreements have been released, from AOSIS and the AWG-LCA headed by Michael Zammit Cutajar. I’ve summarized the mitigation targets in the four drafts floating around as a Google spreadsheet, here. The AOSIS draft is, understandably, very aggressive in its global vision. 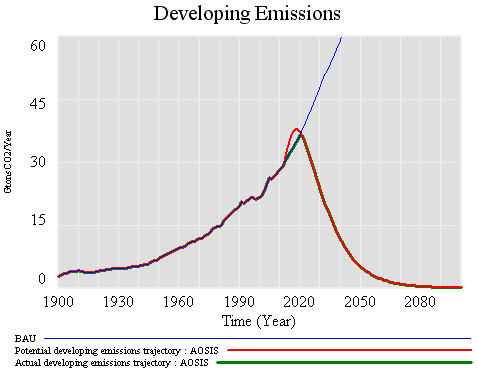 It seeks 350ppm or better, to limit temperature rise to 1.5C vs. preindustrial. 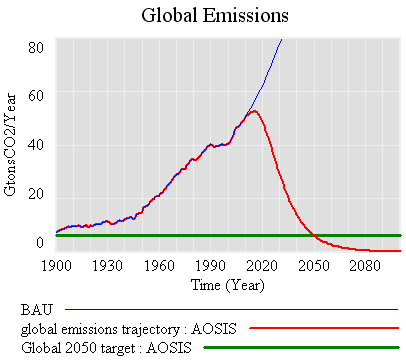 To get there, it seeks a global emissions peak by 2015 and an 85% cut from 1990 levels by 2050. Developed countries are to cut 45% below 1990 by 2020. Deforestation is to be halved by 2020 and halted by 2030. The document gets wishy washy when it comes to other developing country actions though: it talks about NAMAs and “significant deviations from baselines by 2020,” but no specific commitments. In my mind, if you’ve specified targets for the world and for developed countries, you’ve implicitly specified the developing countries’ trajectory, so you might as well say what it is and create commitments to ensure that it is achieved. The burden of those commitments (to the extent that it is a burden, and not a hidden opportunity) may not rest on the developing countries, but someone has to be responsible, or it may not happen. What does that leave for the developing countries? Afterthought: as before, this is based on C-ROADS data and projections, with BAU similar to SRES A1FI, though the results are hardly sensitive to the specifics. Thanks to Stephanie & Allison at SI for tracking down the drafts. 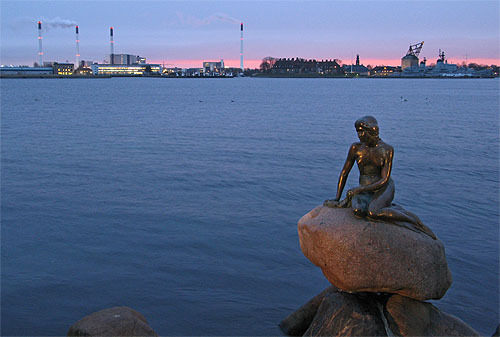 Hard on the heels of the leaked “Danish text” comes the emerging economy response, the “Copenhagen Accord.” Press coverage indicates that it’s a call for -40% of 1990 by 2020 in the developed world, but the actual text (linked at the end of the article at COP15.dk) has no such details. The Copenhagen Accord is notable mainly for what it lacks: there are no global goals, and no explicit developing country targets. 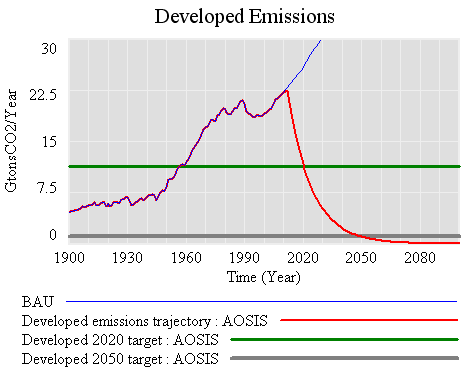 However, it does affirm the Framework Convention, “to stabilize greenhouse gas concentrations in the atmosphere at a level that would prevent dangerous anthropogenic interference with the climate system.” I’m actually not a strong proponent of hard country commitments for 2050, because they are politically so dubious, and will most likely have to be changed anyway. However, I think it’s quite important to at least agree on an objective in general terms. 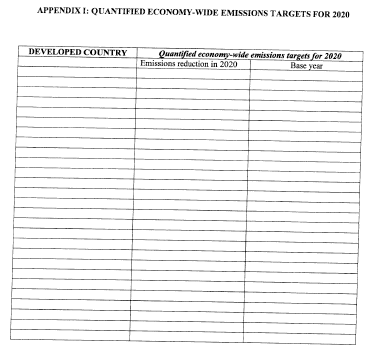 By failing to state a global goal, does this document redefine “dangerous interference” to include whatever emissions trajectory we happen to get, or does it assume that uncoordinated developed country actions (including support of mitigation in the developing world) will be enough to avoid it? Similarly, page 1 recognizes “that the right to development and equitable opportunity of development are inalienable basic human rights of all nations, and social economic development and poverty eradication are the first and overriding priorities of developing countries.” I think that human rights are for humans, not nations, but apart from that quibble, this is a good principle. However, I fear that the underlying mental model behind this statement is less admirable. 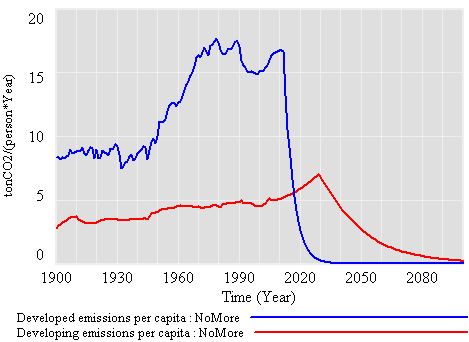 Does it mean, for example, that the authors think a 650ppm future is OK, as long as their GDP goes up? To assume that on-market growth can more than compensate for climate impacts is a risky proposition, especially for the poorest countries. Alternately, does it mean that the authors think the supported mitigation actions, financial and technology transfers, and other mechanisms outlined in the text will be enough to permit development without contradiction of the “dangerous interference” objective? If so, the agreement needs to be a lot more specific about how this will work. This document, and to a lesser extent the Danish text, really reinforces my perception that modelers and other quantitative folks are living on a different planet from those who craft these drafts. 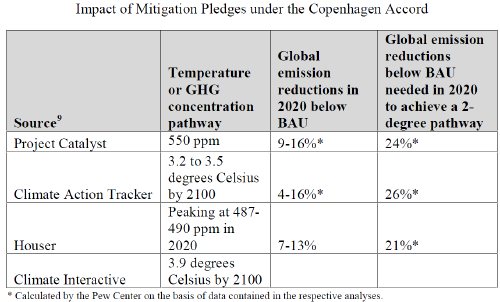 The Copenhagen Accord buries a short page worth of principles in 11 pages of obscure jargon. I had to read it several times to even determine whether it suggested concrete targets. Why not just get to the point? The legalese can come later. Sure, some details are important, like who has jurisdiction over financial flows, but list those as principles rather than enumerating every minor point. Needless detail is more than a time-waster; it actually gets in the way of identifying creative solutions by imposing spurious constraints. Mercifully, the official draft just released by Michael Zammit Cutajar is reportedly only 6 pages. Author TomPosted on December 11, 2009 Categories Climate, COP15, PolicyTags agreement, COP15, Copenhagen1 Comment on The "Copenhagen Accord"